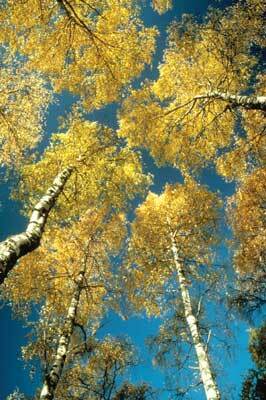 The Woodland Trust is the UK's leading woodland conservation charity championing native woods and trees. Its aims are to enable the creation of more native woods; to protect native woods, trees and their wildlife for the future and the restoration of areas of damaged ancient woodland. 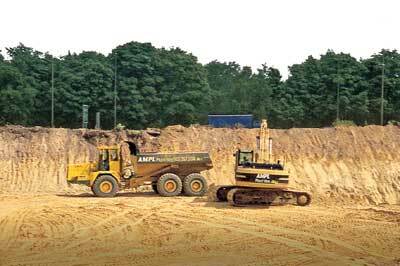 Established in 1972, the Woodland Trust now has over 1,200 sites in its care covering approximately 50,000 acres. 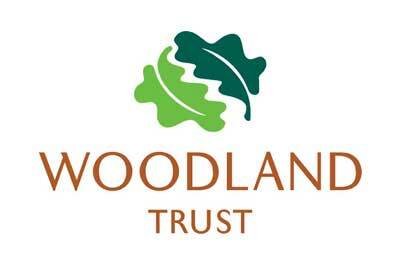 Access to all Woodland Trust sites is free. 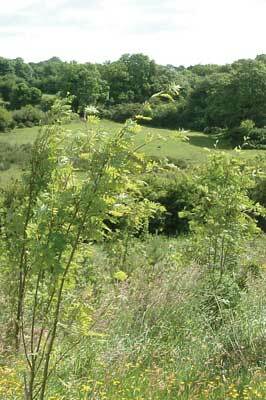 One of the Trust's most important projects is the restoration of ancient woodland. Our last remaining link with the original wild wood established after the last ice age, ancient woodland provides a unique link to our country's past, offering intriguing insights into how our ancestors lived. In the years following World War II, much of our ancient woodlands were felled and replaced with non-native conifers. This coniferisation was carried out on a large scale by both the public and private sectors as a result of a policy drive to replenish the national timber reserve and to improve the economics of ancient woodlands. At the time there was a lack of understanding of the biodiversity value of these important forests. Dense shade-casting conifers often smothered the remaining ancient woodland fauna and flora, resulting in the decline of many of these species. The Trust was recently awarded Â£1.9 million from the Heritage Lottery Fund towards the largest UK woodland restoration project ever undertaken. Beginning in 2014, the work will take five years to complete with the aim of restoring 52,000 hectares - almost 130,000 acres - of damaged ancient woodland, the natural habitat of over 250 rare or threatened species. The restoration will involve the gradual removal of conifers from plantations, to allow a greater amount of light to penetrate the woodland canopy. 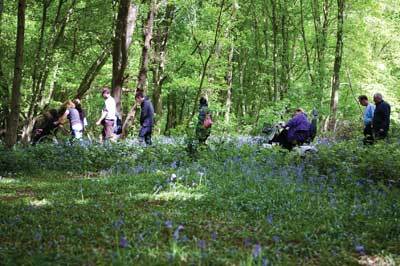 Over time, this will encourage the recovery of specialist ancient woodland species, such as wood anemone and bluebell. The Trust has identified 10 priority restoration areas across the UK and will be working with landowners to give them the necessary training and support. The project will be launching in the spring â€“ find out more here. Nature's Calendar is the Woodland Trust's 'citizen science' project, asking members of the public to document nature in their local area. Thousands of volunteers record the signs of the seasons where they live, providing an important source of information about the effects of climate change on wildlife. The Trust provides a free downloadable nature identification booklet, and the volunteers record their observations on an online form. From the first flowering of a wood anemone to the first ripe hawthorn fruit and the first appearance of an orange-tip butterfly, records are sent in for a wide range of UK species, including trees, flowers, birds, insects, amphibians and fungi. The results collected are used by scientific research projects, particularly those investigating the effects of climate change. The dates recorded can help identify the factors that influence when species breed or come into flower/leaf, or whether abundant ripe fruit on holly in autumn predicts a harsh winter, for example. You don't need to be an expert to take part, every pair of eyes counts! For more information click here. The Trust provides a way for people to join forces to make their views heard, as well as providing useful resources online, such as explanations of different planning systems and advice on organising a campaign. One of its current campaigns is about the proposed HS2 rail project. 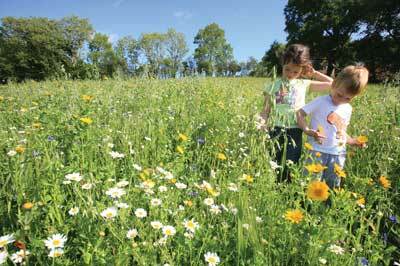 Part of the Trust's mission is to encourage more people to access woodland and enjoy spending time in nature. 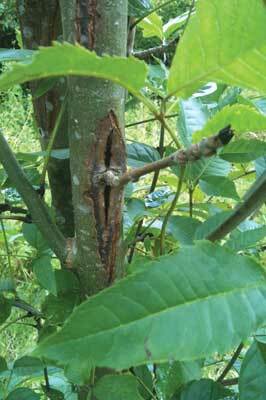 Its VisitWoods project began in 2008 and came to an end on 31 December, 2013. Its aim was to bring together information about woods that are open to the public and to inspire more people to visit woods. Information was gathered on 11,000 woods from diverse landowners such as the National Trust, the RSPB, the Forestry Commission, Wildlife Trusts, councils, organisations and private individuals. 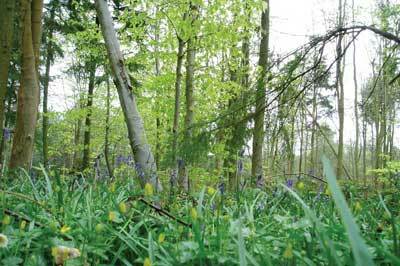 The project's online database enables people to find their local wood, read about upcoming events and learn seasonal information about flora and fauna. The Woodland Trust believes all children should experience the magic of nature first-hand and www.naturedetectives.org.uk, a website run by the Trust, offers over 1,000 free downloads designed for early years practitioners and teachers to use to liven up their nursery week with environmentally inspired activities. The spring downloads, for example, include 'hunt' sheets for identifying animal tracks, birds, butterflies and flowers, plus animal cards and games, such as printouts to make paper planes shaped like birds and flying insects. 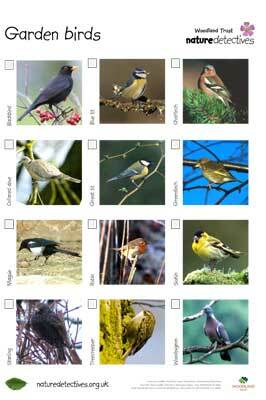 There are also quizzes, colouring books and puzzles to entertain young nature watchers. If given the go-ahead, at least 78 ancient woods face loss or damage along the whole route from London to the north and given that there is no environmental statement for phase two of the route as yet, this is thought to be a conservative estimate.In the Trust's view, this woodland is irreplaceable. While recognising the need for a low carbon economy, the Trust believes this should not come at the expense of the nation's heritage and is urging the government to bear this in mind when planning the route. Other campaigns include a bid to save historic Smithy Wood on the outskirts of Sheffield, which is under threat from a proposed new motorway service station, and a campaign to save two ancient woods in Newport from a new motorway. The Trust is also working on preventing flood risk in Wales by calling on the Welsh Assembly to plant 10 million trees over a five-year period. It also organised a petition against Defra's decision to put a two-year freeze on new government-funded grants for tree planting and new woods, which nearly 30,000 people signed. 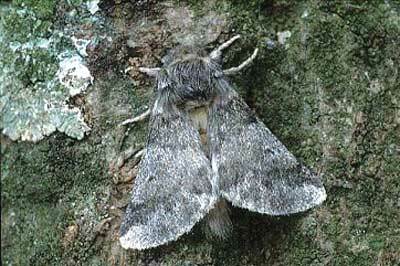 The Trust publishes useful information on its website about pests and diseases, such as ash dieback, the oak processionary moth and Phytopthora ramorum. When ash dieback reached the UK, the Trust introduced a three-point plan to tackle the growing threats to our trees from pests and diseases. 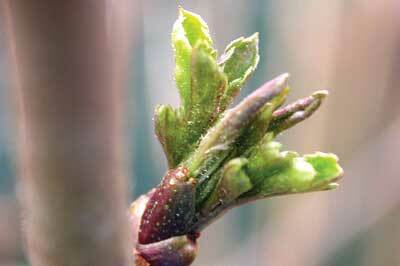 First, it improved its own supply chain to ensure the provenance of all new saplings. From 2014, all the trees and saplings the Trust sells or uses in planting projects will be raised from UK seed, sourced and grown entirely in the UK to remove the risk of importing further problems. The next step will be to develop a series of seed orchards to produce a varied genetic mix of native tree species and give rare species a fighting chance in the future. The second part of the plan was to organise a conference bringing together UK and European experts. The conference highlighted the need for better plant biosecurity at our borders to keep out what we can, coupled with the development of more resilient landscapes. This involves creating woods with a wider variety of native species and more diversity in age and structure, which will better withstand the inevitable arrival of those diseases that do get through the net. Third, the Trust joined forces with environmental and forestry partners to create a tree-health early-warning system, using volunteer support. This will help to gather and streamline reports of tree disease from across the UK, providing scientists and tree health experts with vital information about outbreaks. The challenge is to improve information sharing and the reaction to risks from tree pests and diseases and ultimately develop a best-in-Europe model. The UK conjures up images of a green and pleasant land - with green patchwork fields, majestic hills and highlands, and beautiful bluebell woods carpeting the landscape. 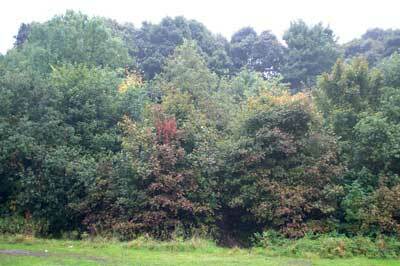 Yet incredibly, the UK has just 13% woodland cover - less than a third of the European average. 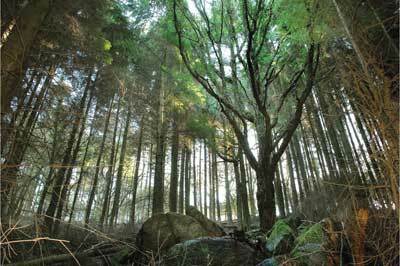 Only 2% of the UK consists of remaining ancient woodland. Much loss has happened within our lifetimes - nearly 50% of ancient woods that survived until the 1930s have now been destroyed or damaged. The rest are still under threat from development and disease today. While we cannot replace the ancient woods we have lost, the Woodland Trust is championing the planting of more native trees and woods. Planted in the right places, they provide shade and shelter for crops, animals and livestock; give wildlife a helping hand by creating new habitat, and provide special places for people to enjoy nature and pass on this enthusiasm to future generations. They also lock up carbon, produce oxygen, provide a source of fuel and timber, and when planted in the right places, they can reduce flooding and pollution. 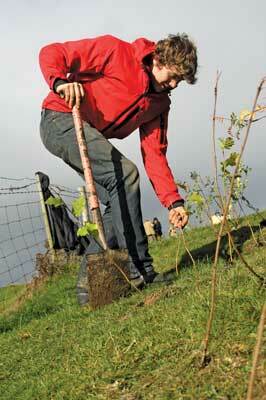 The Trust offers help and financial support to people who want to plant trees - see details here. Pick up you copy of your favourite woodworking magazine today!